I think you all know what a 3D PDF is–your 3D model and all of its views right within a PDF document. They’ve been around for YEARS. Quite convenient for sharing model views, protecting model data or emailing a PDF to grandma who can easily open your work and share with her quilting club, but they haven’t been so useful for getting other data across–data that might help with, oh, manufacturing, certification, assembly and the like. That is, until now. 3D PDF tech was originally developed by TTF, which Adobe acquired in 2006 when it went into the 3D PDF game. They spun it out, giving it to Tech Soft 3D for development, with the end-user product given to Tetra4D who developed to resell it. The 2013 acquisition of Tetra4D by Tech Soft 3D boosted development efforts of the end-user product and now they’re showing what’s truly possible in a new soon-to-be-released product called Tetra4D Enrich. 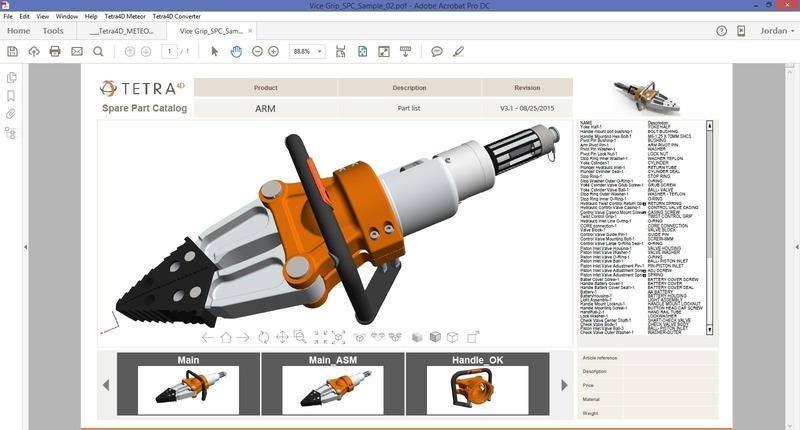 Announce in November as Project Meteor, Tetra4D Enrich levels up 3D PDFs by providing customizable templates with drag-and-drop blocks that put virtually any model data needed into an interactive PDF document. These block of data can include anything from 3D Views, metadata, textfields, BOM info via ERP/PDM, render modes, view controls and more. What’s that? You want to see an example? Sure, you can download an Enrich 3D PDF example here (PDF – 2.4MB). Simply having 3D views in a PDF is an understandable advantage, but one of the most convincing examples I saw with Enrich is the ability to use it to quickly create a certification document. 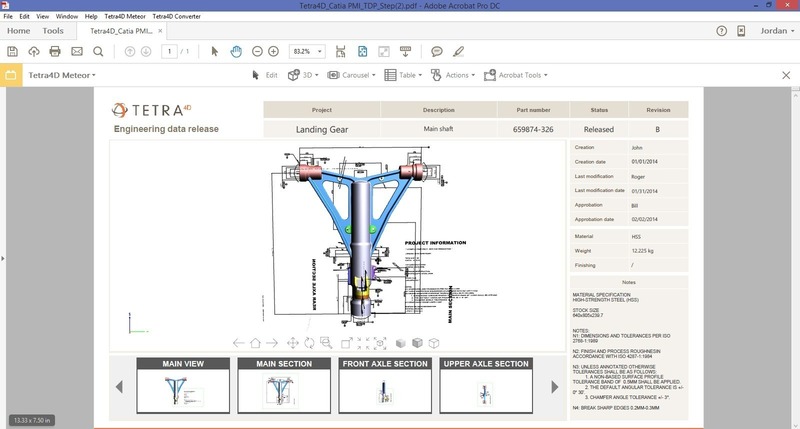 By identifying dimensional data and included entry fields for shop floor inspectors to enter measured values that automatically check against drawing values, it makes quick work of identifying differences between the engineering drawing and the manufactured product, all within the document. No paper trail or binders–inspection done, checked back in and back to engineering it goes. 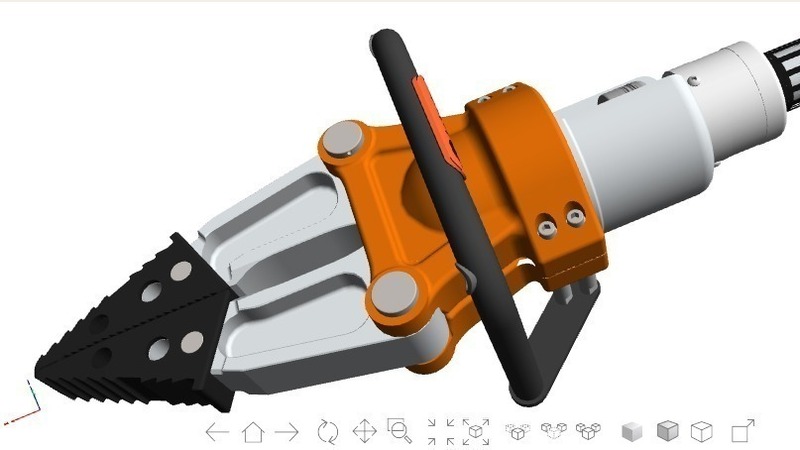 After seeing a few similar scenarios of what is possible using Enrich, there’s no doubt that 3D PDFs should become more important in the design to manufacturing workflow. 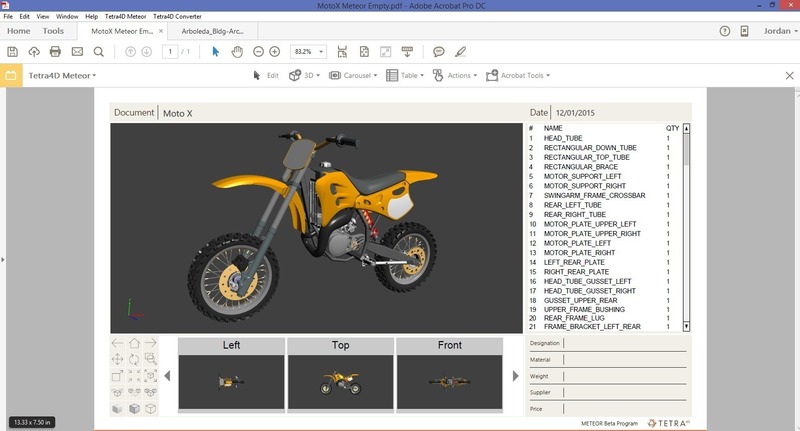 Tetra4D Enrich is currently in beta, releasing Q1 2016. No pricing has been announced as of yet, but you can request a beta invitation and get more information about it here. Have you (do you) use 3D PDFs?